Chaitra Navratri, which is a Hindu festival, is being celebrated all over the world. The nine-day festival began on April 6 and will be concluded on April 14. 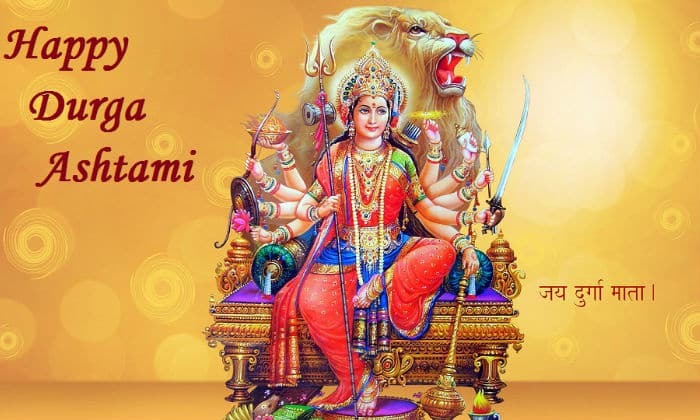 Each of the nine days is dedicated to the particular goddess and it is believed that for these auspicious nine days, goddess descends on earth for her devotees. Now, the eighth day of the Hindu festival known as Durga Ashtami or Maha Ashtami will be celebrated on April 12. The eighth day of Chaitra Navratri 2019 is dedicated to Goddess Mahagauri, where worshipping this avatar of Goddess Durga is considered auspicious. On this day, coconut is offered in the form of bhog to please the deity. For prasad, you can also make coconut ladoo or barfi. Apart from this, traditional fare of poori, chana and halwa are prepared on this day. Sandhi puja is done at a point of time when Ashtami tithi ends and Navmi tithi starts. This puja has a special significance during the festival of Navratri. For those who don’t know what a sandhi puja is, well, it is done on those Navratri when, according to the panchang, the festivities are just for eight days instead of nine. Usually, during such Navratri, Ashtami and Navtarri fall on the same day. So, sandhi puja is done at that time when, as per the tithi, ashtami ends and navami begins. It is very important for those who have fasted throughout Navratri. As per Holy Scriptures, girls from two to ten years are considered most suitable for Kanya Puja. These girls represent each of nine forms of Maa Durga. The various forms of Durga are named as – Kumarika, Trimurti, Kalyani, Rohini, Kali, Chandika, Shanbhavi, Durga and Bhadra or Subhadra. It is believed that without observing Kanya Pujan, the sadhana or devotion to Goddes Durga during Navratri will not be considered complete. Invite nine kumaris aka nine young girls aka at home. Wash their feet and apply red alta (red dye). Tie moli dhaga (red-yellow-orange coloured holy thread) on their hands. Some devotees also put a bindi or red vermillion on the foreheads of the girls. Offer them seats and serve them holy food prepared especially for them. It is called Kanya Puja food along with prasad. Depending from host to host, they either present gifts to the visiting kumaris or give them money. After completing all the rituals, the devotees touch the feet of girls and take their blessings.